The American Eagle Foundation is proud to announce eight successful eagle grants applicants for 2015. This year, $100,038 in grants will be awarded. 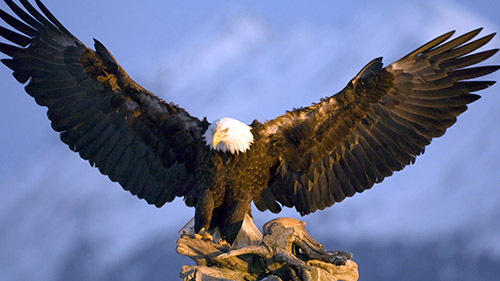 This is the third year the American Eagle Foundation has sponsored grants for work that conserves and protects eagles, awarding grants totaling in excess of $300,000. We appreciate the important work of these grantees, and are honored to be able to contribute to the continued success of the Bald Eagle. The following are recipients of the American Eagle Foundation 2015 Eagle Grants. College of William and Mary, Dr. Elizabeth Mojica, Williamsburg, Virginia. Delaware Highlands Conservancy, Hawley, Pennsylvania. Dr. James Dwyer, Fort Collins, Colorado. Photos above are from Maitland, Florida Audubon Eagle Watch’s recent rescue on February 15, 2015 of an eaglet with scissor beak. Florida Power and Light offered the use of one of their bucket trucks, which allowed this AEF grant recipient to safely remove the troubled eaglet from the nest. The eaglet has undergone surgery to correct the mal-formed beak, and the folks at Audubon are hopeful that she will be releasable to the wild. 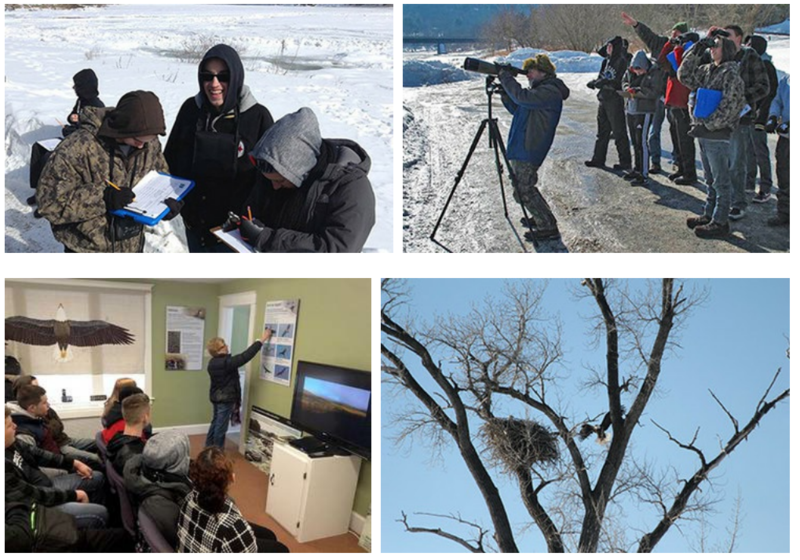 The photos above are from two grant winners – the Delaware Highlands Conservancy, Hawley, Pa, received a grant for Winter Eagle Monitoring and Public Education. The top two photos, and the photo on the left, bottom row, shows an eagle education project with the Port Jervis High School. Watching for wintering eagles, accumulating data, and classroom projects are part of the work this group does. Dr. James Dwyer, Fort Collins, Colorado was awarded a grant to study satellite tracking of Bald Eagles near oil and gas development. An adult Bald Eagle brings new nest lining material to his incubating mate at a nest within 0.15 miles of an active fossil fuel well. Both the well and the nest have been historically productive, but long term impacts to Eagles are unknown. To help answer questions of long-term impacts, this project is investigating relationships between Bald Eagles and fossil fuel extraction in southwest Colorado. Georgia Department of Natural Resource, Jim Ozier. Meeting of the Rivers Foundation. Oregon State University, Northwest Alliance for Computational Science and Engineering, Corvallis, Oregon. West Virginia University, Dr. Tricia Miller, Morgantown, West Virginia. The American Eagle Foundation uses a “Bald Eagle Grant Advisory Team” to numerically rate all grant applications. This team consists of some of the most outstanding eagle authorities nationwide. We congratulate our successful applicants for 2015!